Flexible with heat gun Or hair dryer, Can be used on any interior or exterior smooth surfaces. 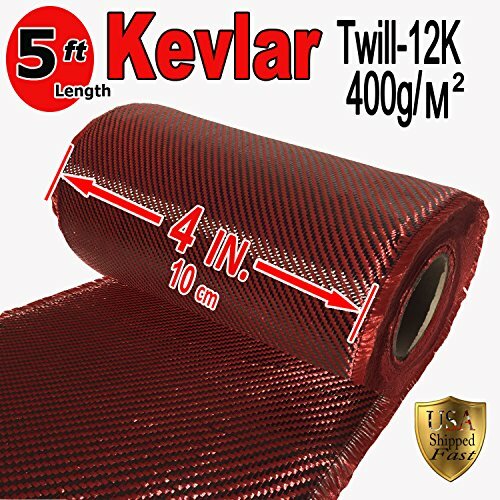 KEVLAR/CARBON Fiber Aramid Fabric - 4 in wide -Twill Weave heavy duty 3K Tow, 220g/sq.meter. High strength Red -Black fabric with Kevlar & Carbon fiber strands running both vertical & horizontal for multi directional strength. Multi use soft and easy to shape. 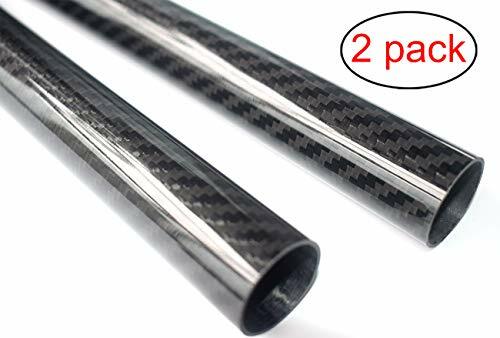 Unidirectional carbon fiber has its fibers running in a single parallel direction so it is ideal for applications where front-to-back strength is important. 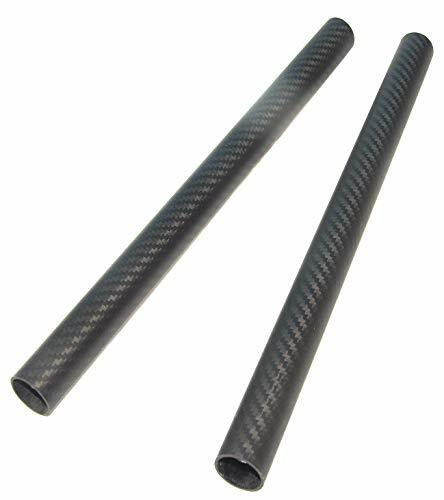 Long, tubular structures that move in a forward-and-reverse direction, such as rockets, airplanes, boats, and bicycles, all use unidirectional carbon fiber as reinforcement. Density: .054 lbs / cu. in. 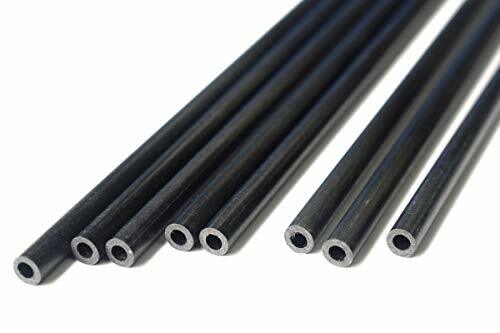 3mm x 1.5mm inner diameter x 1000mm length tube. 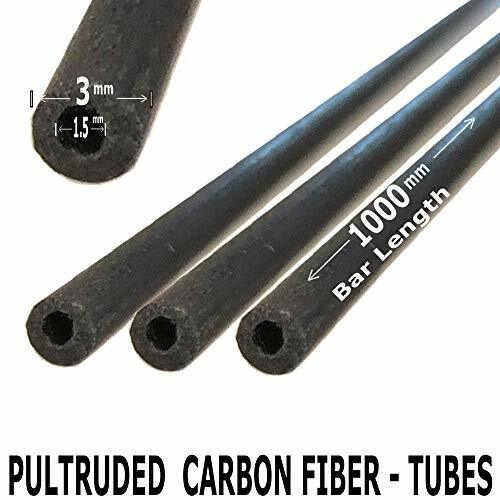 Pultruded Solid 100% Carbon Fiber tubing. Super high strength to weight ratio. Used in any project requiring light weight and high strength. Radio control cars, drones, aircraft & helicopters. Quality crafted. 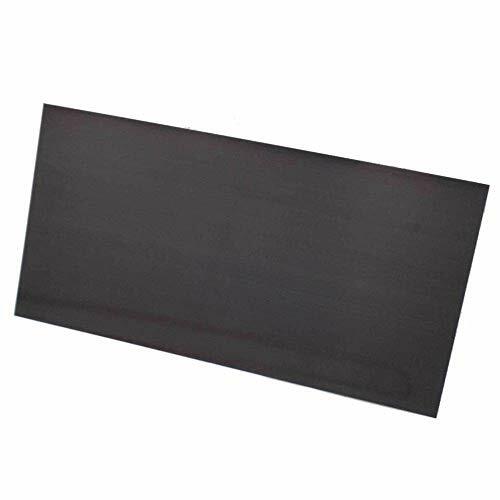 High-hardness pure carbon fiber panels are an excellent solution when strength and weight are the most important factors. These sheets can be used to construct strong structures, create supports, or for fabricating your own parts! Each sheet measures just over 150mm x 300mm. Each sheet we sell is guaranteed to not contain any fiberglass and have a very high carbon-fiber content with low resin weight. The surface finish is gloss and uniform on both sides. 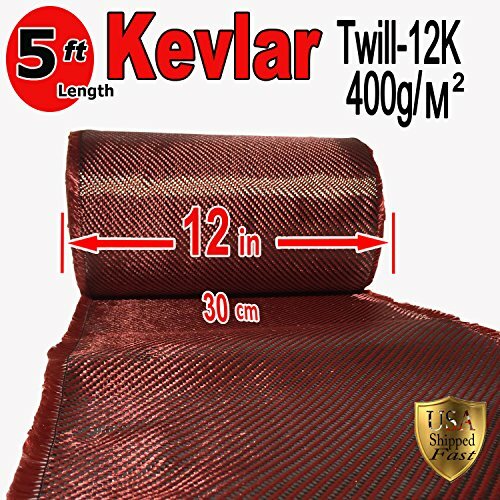 KEVLAR/CARBON Fiber Aramid Fabric - 12 in wide -Twill Weave heavy duty 3K Tow, 220g/sq.meter. High strength Red -Black fabric with Kevlar & Carbon fiber strands running both vertical & horizontal for multi directional strength. Multi use soft and easy to shape. 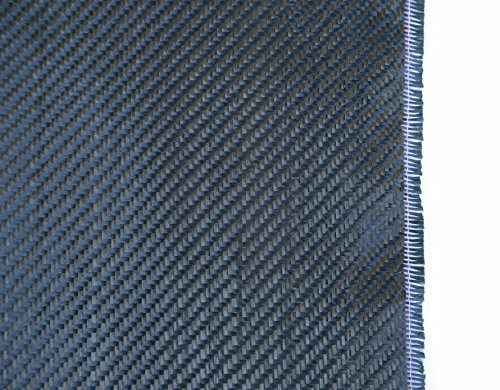 Carbon Fiber Fabric - 12 in wide x 5 ft.length -Twill Weave heavy duty 3K Tow, 220g/sq.meter. High strength black fabric with carbon fiber strands running both vertical & horizontal for multi directional strength. Multi use soft and easy to shape. Each sheet measures just over 200mm x 300mm. 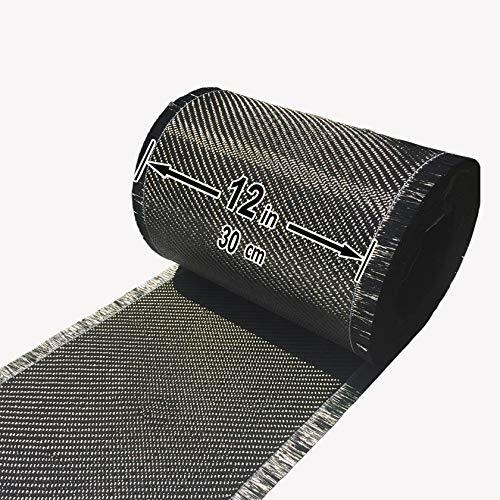 Each sheet we sell is guaranteed to not contain any fiberglass and have a very high carbon-fiber content with low resin weight. The surface finish is low-gloss and uniform on both sides. 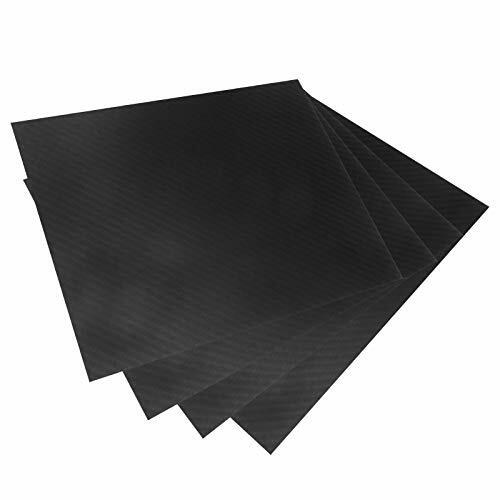 This carcon fiber sheets contains 100% carbon fiber,very strong and light. The surface is cross grain, matt surface without any glass fiber contents. It is specially applicable for multicopter, helicopter and rc airplanes. 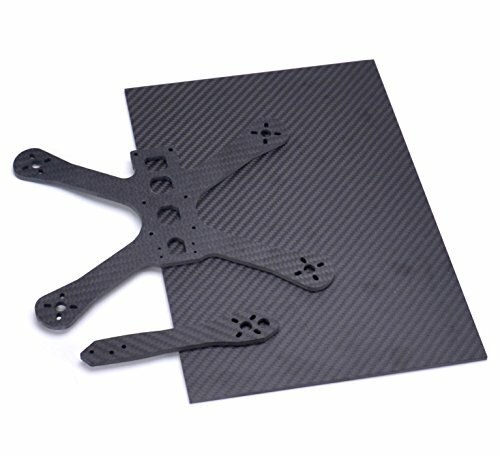 3K Carbon Fiber Strong Strength and Light Weight. The surface is plain weave, glossy surface without any glass fiber contents. Perfect for any application including Multicopter, Helicopter and RC airplanes. Dimension: 200mm x 300mm x 3mm. Surface: 3K, Cross Grain, Matt Surface.